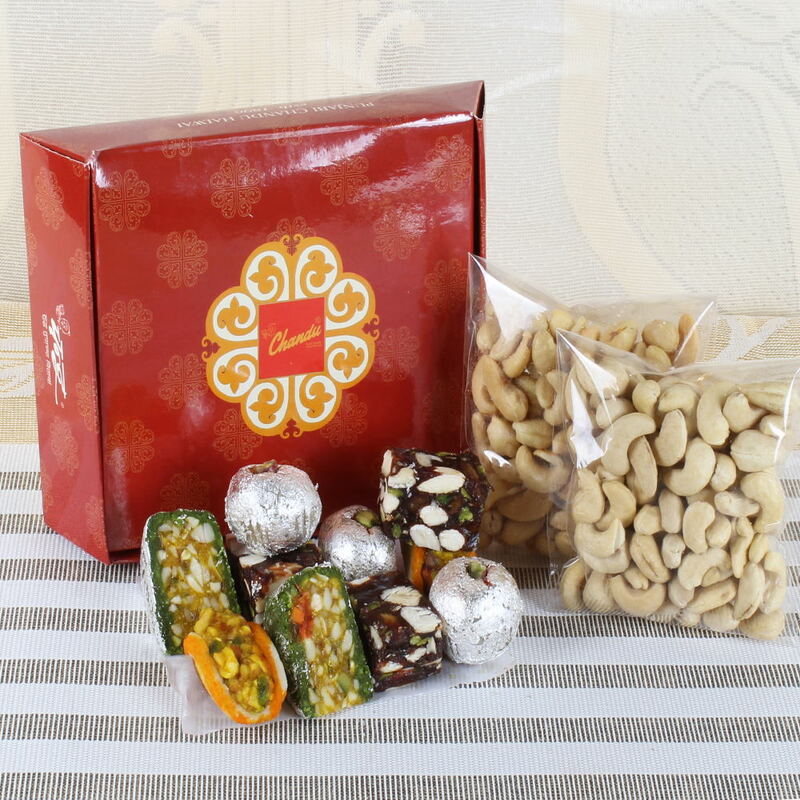 Product Consists: Assorted Sweets (Weight: 500 Gms),Salted Cashew (Weight: 100 Gms) along with Cashew (Weight: 100 Gms). Excite your special someone with this adorable gift combo. 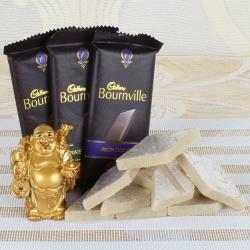 This Giftacrossindia.com Luxury Sweet gift is nothing but a healthy treat which will give a pleasant surprise to the recipient who loves to stay healthy so to experience send this on any day at any time it is not required any special day to gift this product. This kind of gifts people really remember. With a bit of thought and effort, you can send it and especially to those who really need to enjoy great mix of fun food items. Exclusively designed to cure all cravings, our thoughtfully curate eatable items collection is the perfect gift to satisfy every craving. 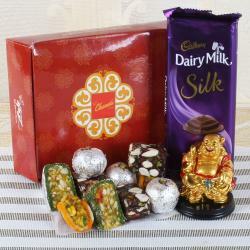 People do not need an occasion to relish the taste of the most delicious sweets of India. Specially, when it comes to assorted sweets, there is nothing that can beat their amazing taste. It has a lovely flavor sweet in this gift pack. Sinful indulgence for every taste bud, sweets make it special on any celebration. Old bonds get strength at that time a new relationship gets formed. 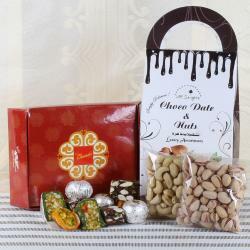 Product Includes: Assorted Sweets (Weight: 500 Gms), Salted Cashew (Weight: 100 Gms) along with Cashew (Weight: 100 Gms).